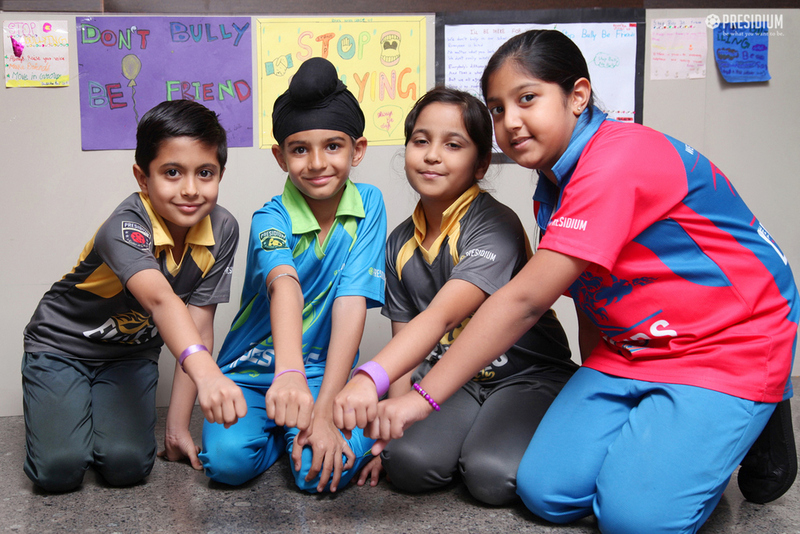 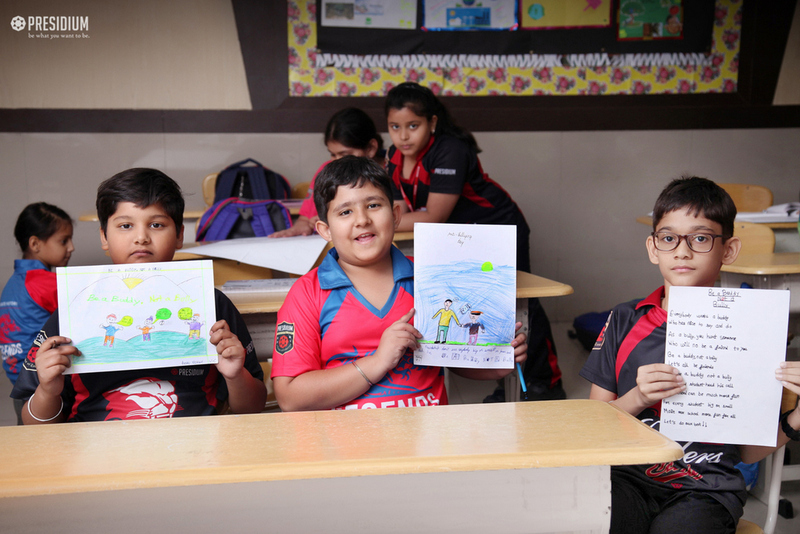 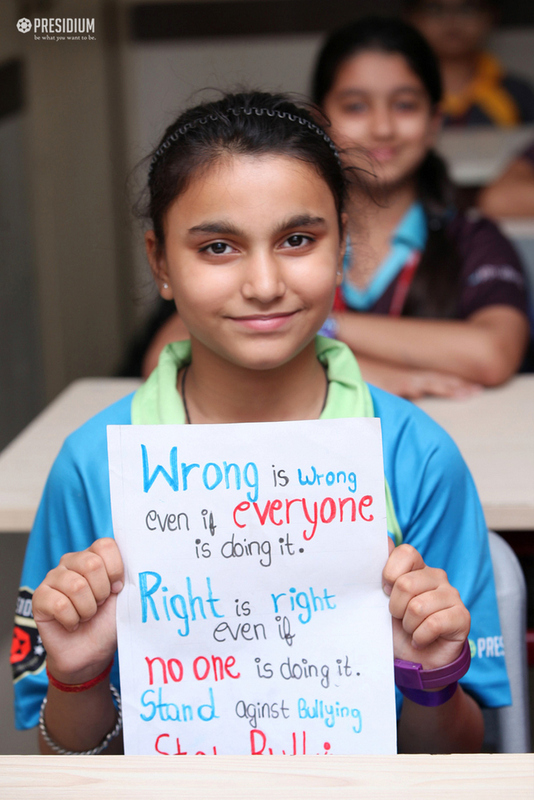 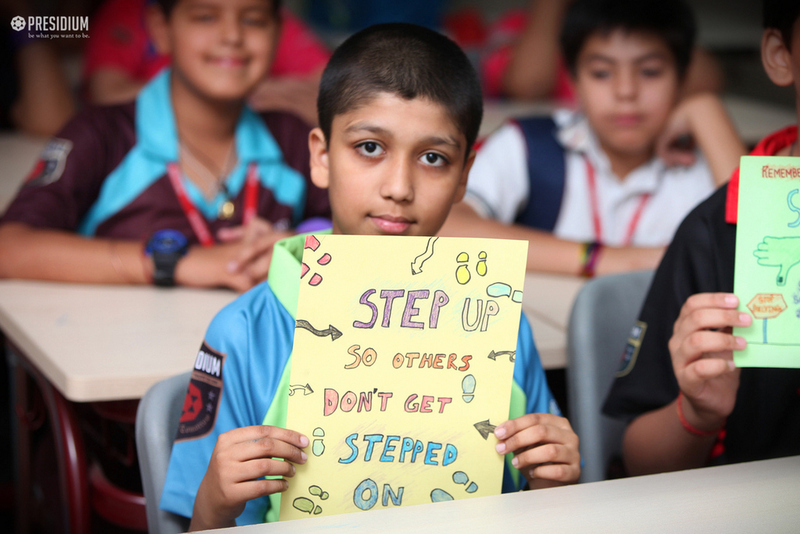 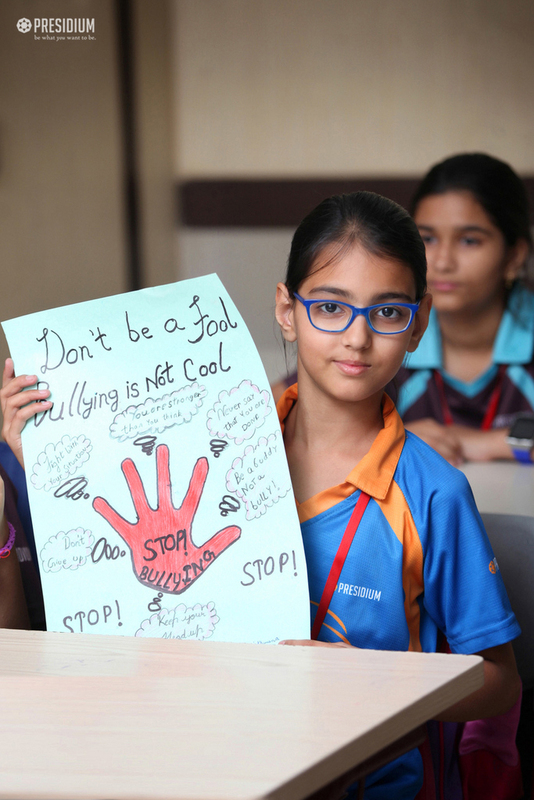 This Anti-Bullying Day, the counseling and special education team of Presidium Gurugram kick-started an Anti-Bullying Campaign to make all the students aware about this crucial topic. 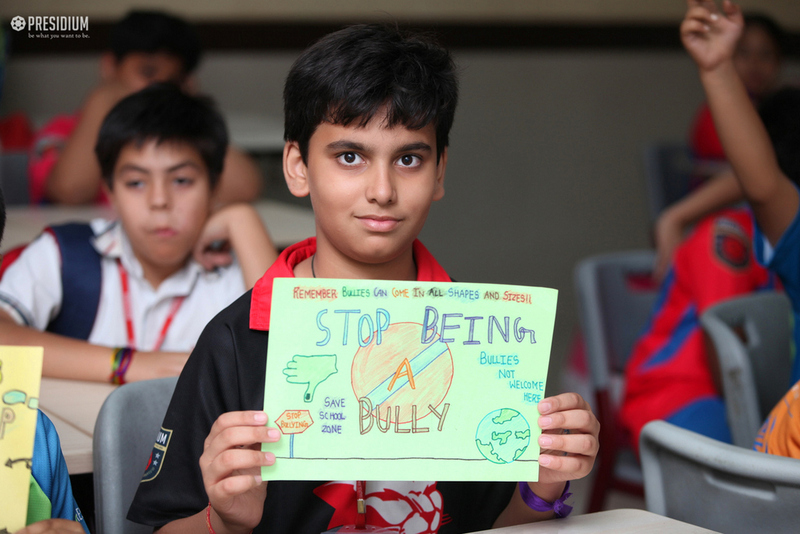 Every class discussed about the impact of bullying and the importance of being a buddy not a bully. 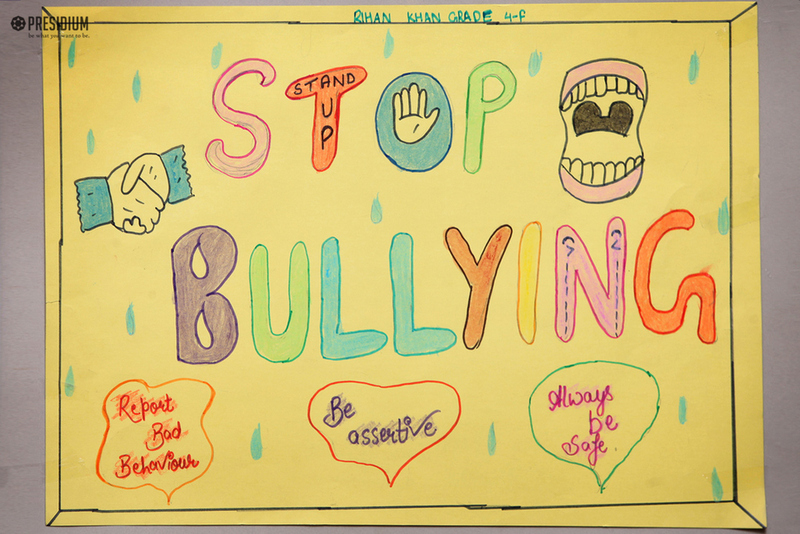 This was done through role plays, discussions, poster making, slogan writing, and wearing a purple band to show their stand against bullying. 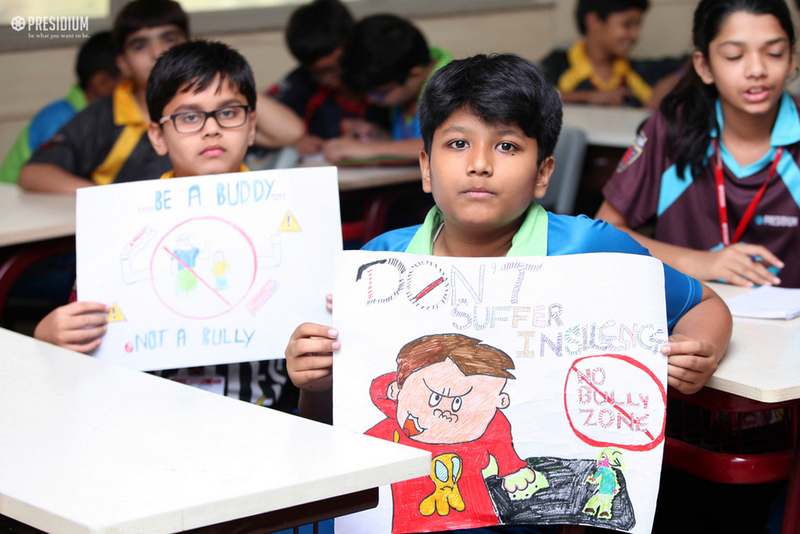 We, at Presidium have now formed three Anti-Bullying Squads (junior school, middle school and senior school), and wish to organize more fruitful sessions with teachers as well as parents so that everyone can take a stand on this issue.